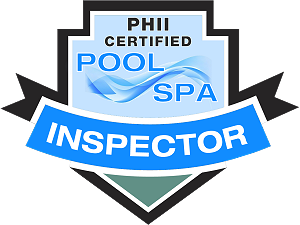 PHII's Online Pool and Spa Inspection Course is 14 hours and covers in ground and above ground pools, hot tubs and larger portable pools found across the country. You will learn how to conduct a limited inspection of liners, decking and coping, plumbing, mechanical, electrical, heating systems and pool safety. After completing the course, you will understand federal safety guidelines for pools and spas, national electric code, basic pool/spa components and their function, how to recognize defects, limit your liability and how to create a pool inspection report for the client. Note that for California home inspectors, performing a physical examination of pool/spa drowning prevention safety features is a state requirement for the home inspection report, and other states may follow. This course will enable home inspectors and other professionals to expand their knowledge, provide useful information to the client and perform a limited pool and spa inspection* as an ancillary inspection service. A typical pool inspection add-on report can add $100 or more to the total inspection fee and can be performed during the home inspection appointment. *A limited pool and spa inspection is usually performed by a home inspector or other generalist working for the buyer in a real estate transaction, to determine whether a more exhaustive inspection by a pool service expert is recommended. This online course illustrates and explains the essential components of pool and spa inspection in a simple, straight-forward fashion. It is also an excellent review for pool and spa questions that frequently appear on the National Home Inspector Exam (NHIE). As you complete each lesson, you will use interactive flash cards and take practice quizzes that will test your knowledge, generate instant feedback and provide opportunities to correct mistakes, re-learn information and re-test. Our system keeps track of your progress, so you can take a break at any time, even turn off your computer and the course will return to where you left off! When you finish the course you will know how to perform a limited pool and spa inspection and deliver a report to your client. Inspecting coping, liners, covers, water level, skimmer, etc. Online Course Access and optional back-up CD, Online Flashcards & Testing, Certificate of Completion, Pool and Spa Inspection Report Template and Client Agreement Forms, Toll Free Student Support.